Kitchener, ON – May 29, 2017 – Flanagan Foodservice and local food e-commerce platform Local Line have partnered to create a local food program that revolutionizes access to Ontario products for foodservice operators. Proudly Canadian and family-owned, Flanagan's is the largest Canadian owned, independent foodservice distributor in the country. Though Flanagan’s has grown to provide full service to more than 6,000 restaurants and foodservice operations across the province of Ontario, it has become more challenging to serve the niche, local segment of the market, according to Peter Bozzer, Director of Procurement at Flanagan Foodservice. “We kept hearing from customers that local food is a priority for them, so we set out to build a comprehensive local food program that we’ll be able to build on year after year,” says Bozzer. Our Ontario, Flanagan’s local food program, lists over 500 Ontario products available in its warehouses. This partnership with Local Line provides access to the thousands of other niche, local products across Ontario. “When we spoke with our customers, it became clear that, although many of them wanted local food, identifying the right suppliers and products was very complex. There were unknowns about suppliers, their products, prices, safety certifications and delivery options. Aggregating all of this information from hundreds of local food suppliers is no easy task, so we were pleased to partner with Local Line to make this information available to all our customers,” says Jackie Oakes, Marketing Manager for Flanagan Foodservice. Local Line, headquartered in Kitchener, is a sales platform for food suppliers, providing e-commerce, CRM and inventory solutions for farmers, brewers, vineyards, butchers, bakers and other food industry suppliers. As a food purchaser, you can sign up with Local Line to access a list of suppliers and their products. 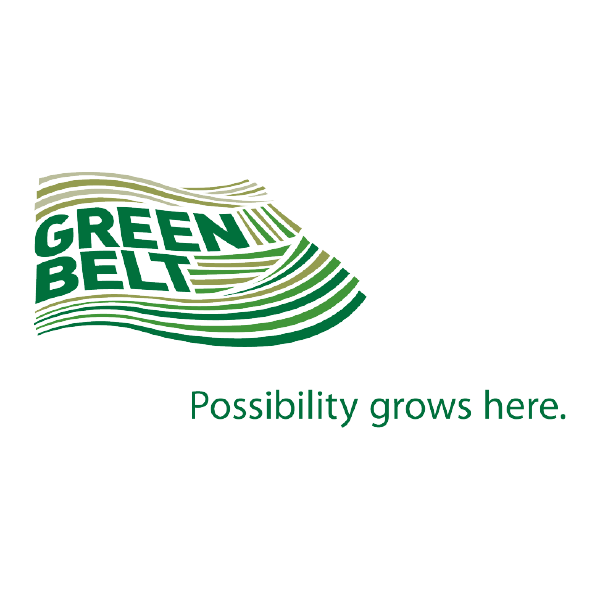 “The goal is to dramatically increase access to Ontario local food products for our customers. 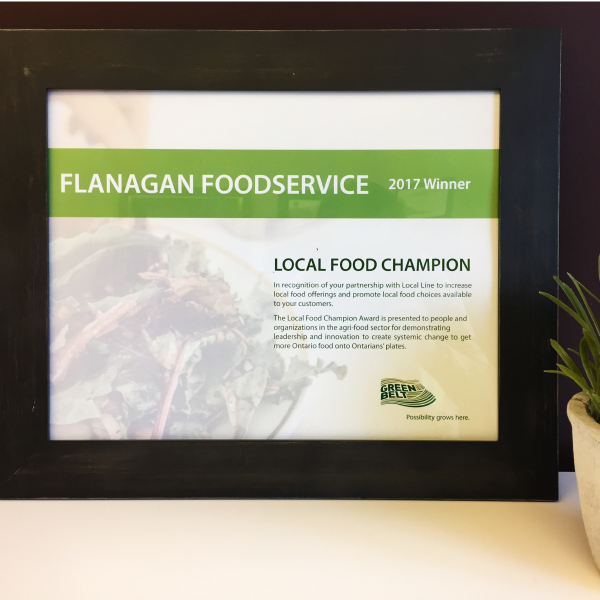 This is an exciting program that will only help everyone involved in the local food supply chain, with each passing day,” says Barry Reid, VP of Sales & Marketing for Flanagan Foodservice. If you’d like to become a customer of the Flanagan Market local food program, you can sign up here. If you’d like to become a customer of Flanagan Foodservice and access their main catalogue, you can do so here. If you’d like to become a local supply partner in the local food program, sign up to Local Line here and send them an email at info@localline.ca. Local Line is an online market platform for food suppliers, providing e-commerce, CRM and inventory solutions for farmers, brewers, vineyards, butchers, bakers and other food industry suppliers. Local food purchasers sign up with Local Line to access the network of suppliers and their products. Now in its third year of operations, Local Line has customers continent-wide and continues to focus on delivering industry leading sales solutions to local food suppliers.